Tips, how-to’s, and latest trends were the highlights of the recent wedding summit that catered to enthusiasts and entrepreneurs in the wedding industry. 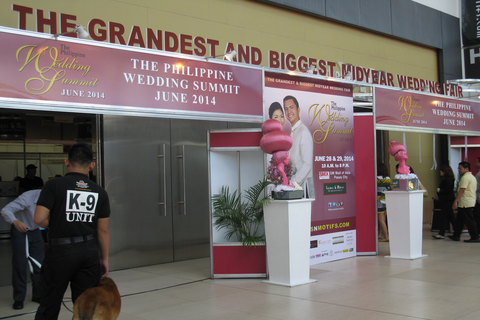 The Themes & Motifs Special Events Co. held the Philippine Wedding Summit last weekend (June 28 to 29, 2014) at the SMX Mall of Asia in Pasay City. 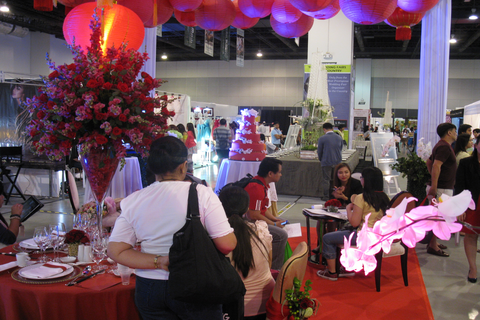 Wedding enthusiasts and entrepreneurs gathered for one of the grandest midyear wedding fairs in the country. It was an opportunity to highlight their works and contributions in the industry. 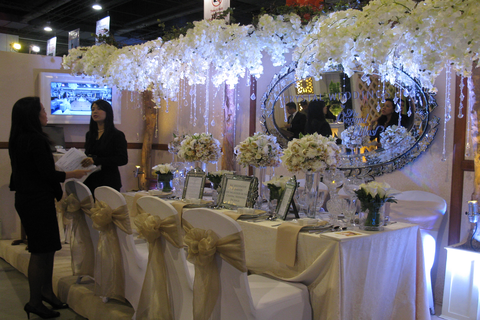 Celebrating its ninth year, the wedding expo catered to all those who are interested in the wedding industry. The exhibitors, mostly consisting of suppliers and business owners, grabbed the chance to showcase their products in the event. Also present were soon-to-wed couples who are scouting for the latest trends in wedding ideas and themes. Wedding dresses filled the venue, as well as wedding cakes made and decorated with unique designs. The fair also featured wedding rings that can be purchased at affordable prices. Wedding planners and organizers presented their recommended wedding venues to soon-to-wed couples. The highlight of the prestigious wedding fair was the series of seminars. Prominent wedding industry figure Henry Pascual shared basic techniques in event styling and the application of those to the latest trends in the industry. Cosmetic giant Mary Kay briefed the wedding suppliers in the venue about the basic concepts of corporate and personal imaging. The beauty company also conducted skin care demos and distributed free product samples. Other resource persons for the series of seminars included wedding and events planner Rita Neri, who talked about wedding branding and planning, and sought-after motivational speaker Chinkee Tan, who shared his guidelines in budgeting and money saving.